My husband has a super power. He can whip up a tasty cocktail, using only what we have at the house, in a nano- second. Must be his creative mind. In any case, I had to share his latest creation. Especially if you’re in need of a festive cocktail to serve for Thanksgiving next week. I call it a Boozy Apple Cider Spice. Pour all ingredients into a shaker over ice. Shake and pour into glass. 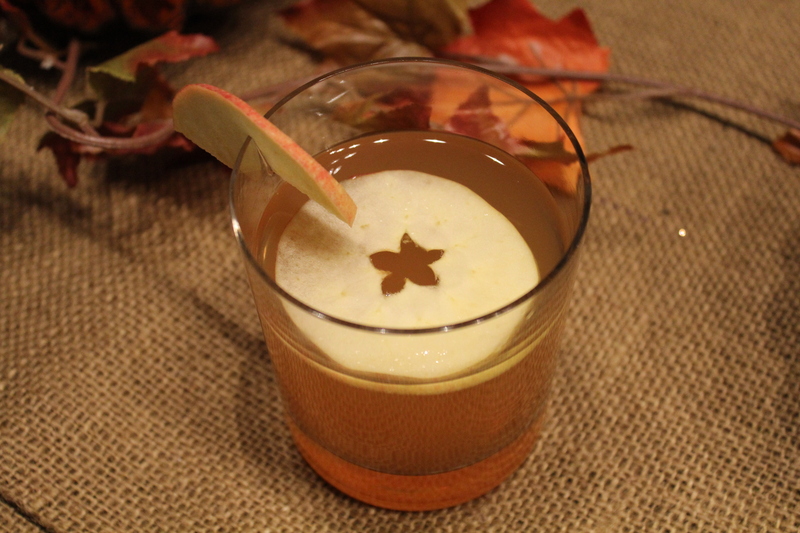 Garnish with apple slices to make pretty.